Back To Health Chiropractic and Wellness Care (Brooklyn) - Book Appointment Online! Here at Back to Health Chiropractic and Wellness care our mission is to return you to a pain free, healthy and active lifestyle. We focus on providing safe and effective care to people of all ages and backgrounds. We strive not only to diagnose and correct the patient’s health problems but to educate so that they do not encounter similar problems in the future. Our goal is providing the highest quality service in the most cost effective and ethical manner. 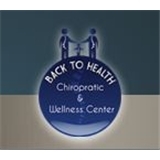 VERY KNOWLEDGEABLE AND WAS ABLE TO TREAT ME NECK/BACK ACHE.